Here at PhoneArena, folks from all over the planet send us requests for free phones over e-mail (please stop, you're breaking our hearts), but so far, none among them have been disillusioned HTC investors. And now we know why - it seems that they consider free One M8's a privilege of theirs, so they went straight to HTC, face-to-face. Yesterday, around 2000 shareholders showed up at the Taiwanese company's shareholder meeting, and in the way the WSJ puts it, most of them came for the free handys. See, last year HTC spoiled its investors by letting everyone walk away with a phone, but alas, all the enterprising guests found at the 3-star hotel near Taipei was free thermos, fruit juice, some bread, and an upbeat Cher Wang proclaiming that "they should be all proud of being shareholders of HTC". Still, there was a lucky draw for 200 phones, which sounds fair. But the guests weren't amused – after all, there's shareholder pride, and then there's free M8's for everyone, right? Not only that, but the hotel ballroom couldn't accommodate all the hopeful attendees, so many of them had to wait outside for their turn to meet HTC's exec team. One shareholder reportedly took a 1-hour motorcycle trip to the meeting, and stated that a free phone would have “made him feel better about HTC's slumping shares”. Tough it out, pal. Some guests weren't all about the free phones and bread loafs, though. “We are here because we are concerned about the share price." - said one concerned shareholder. "Yesterday, the Taiex hit a six-year high, but our share price was still in the doldrums. Are there hopes that the share price will recover?” - he asked. After spending three quarters in the red, HTC hopes to return to profit in 2014, although it expects its Q2 revenue to drop by around $2.32 billion. CEO Peter Chou was optimistic, telling investors that "more noticeable improvements will be seen in two to three quarters". Hopefully, his optimism will be justified, as HTC can't be blamed for laying dormant this year. "Free thermos, fruit juice, some bread, and an upbeat Cher Wang"
In fact, the company is very busy in 2014 - we're seeing it act to alleviate the crisis, while launching respectable products and generating considerable buzz around its name. 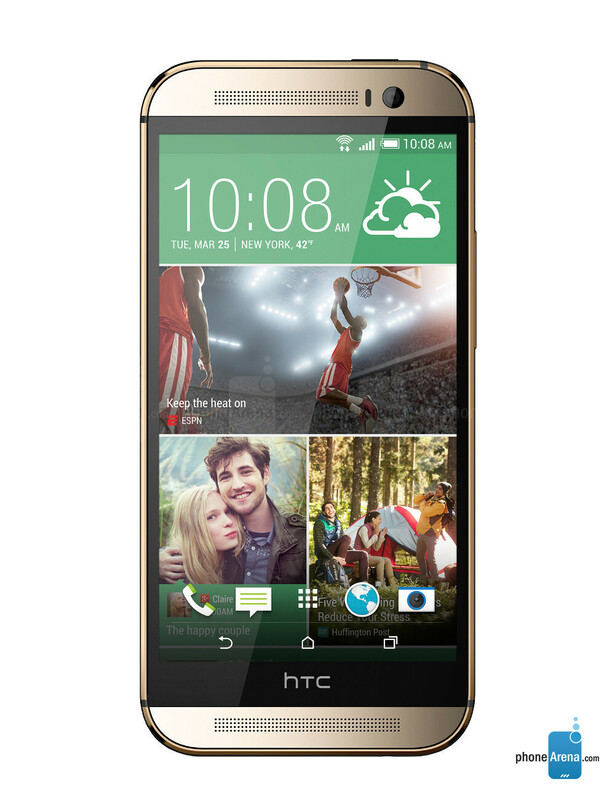 HTC launched the excellent One M8, along with more affordable Desire-branded handsets destined for the emerging markets. It also hired Samsung's ex-marketing officer, and outsourced the production of some devices to Chinese partners. Who knows, if things go well, perhaps shareholders could expect free phones and a slice of ham with their bread loafs next year. LOL hilarious, well played Luis d. Htc should better give out the old wildfires lying in the warehouses. Did someone say free handys? Greedy investors, you want a phone go buy one. No company should give away freebies to investors. Depends really, if they invest more than the price of the phone then I say they do deserve a free phone. Without those 2000 investors, who knows how much worse off the already-doing-badly HTC would be? I'm willing to bet if those 2000 never invested, and just got M8s instead HTC would be in a worse off position. Additionally, since they've made a loss for god-knows how many years, these investors are getting absolutely no dividends, and doesn't look like they'll get any for a while, so I say give them free phones dammit. Even if they're M7s or M7 minis. They invested and trusted this ailing company, and are getting sweet FA back. Cant really blame the investors. I mean they did hand out free phones last year. People will be expecting the same gift and stuff regardless how bad or good the company is doing. HTC should have never done this free phone thing the first year and just went straight to the lottery drawings.